Category Archives for "Latest Articles"
We’ve seen massive changes on LinkedIn this past year. While most of them were right in front of our faces with the new format, the most important change is hidden in the shadows. Worse yet, since most people haven’t noticed this change, if they’re posting content the same way they’ve done in the past, they’re likely wasting their time and their money. In March 2017, LinkedIn announced that it was implementing a new system for generating the news feed. This new system is a game changer. 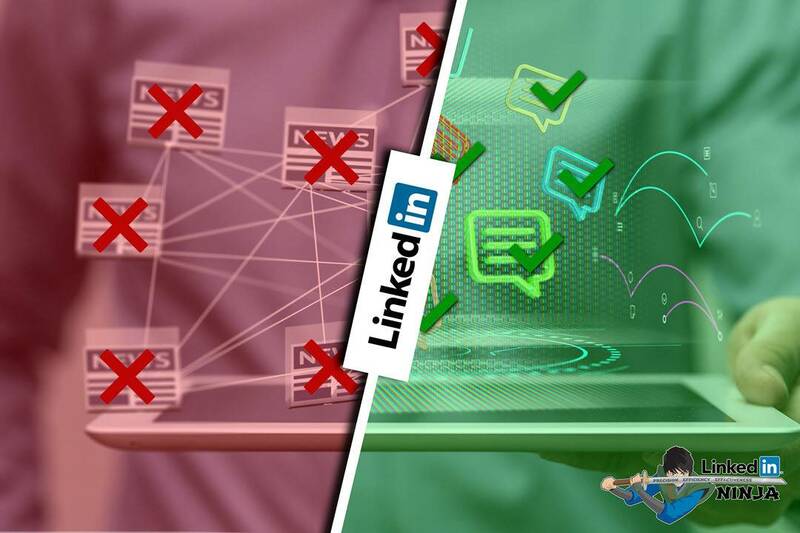 In the past, the LinkedIn news feed algorithm focused on the order of the content coming from your connections, those you follow, and notifications. It tried to put the content that you thought would be most relevant and that you would want to engage with at the top and everything else was ordered below it. Theoretically, all of your connections would be able to see your content if they scrolled far enough. LinkedIn is now REMOVING content from the news feed that they deem as spam or irrelevant. Additionally, content that it sees as “low quality” is only shown to a small percentage of your network to see if they engage with it. If they don’t, bye-bye from the news feed. Of course, LinkedIn doesn’t bother defining “low quality.” Personally, I’m still seeing stuff that I think is low quality and wonder what I could have seen instead. However, if your update initially gets the “clear” thumbs up from the algorithm, that still doesn’t mean that you’re good to go. In the first several hours, it has another algorithm monitoring its “virality” score based on the amount and velocity of engagement. If you get no or little engagement, the update is then “demoted” meaning that people have to scroll pretty far to find it. So, what should you share? First and foremost, LinkedIn uses the adjective “professional.” But what people see as professional often depends on the view from their own “profession.” Is an article about nutrition professional? What if you’re a nutritionist? We have no guidance on this. Bottom line is that LinkedIn’s goal is to get people to stay on LinkedIn as long as possible so that they can show ads to you, which generates revenue for them. Therefore, sharing a link that takes people away from LinkedIn isn’t their top preference. While LinkedIn has never said that they demote external links, there is growing anecdotal evidence that they may be. Creating an update that elicits long comments and replies from many people keeps people on LinkedIn for longer periods making LinkedIn happy. If you want to share a link to an external article, you better make sure that people will want to engage with it; simply posting the link and letting the preview do the rest will likely land you in the land of “low quality.” That means that the update that you craft to go along with that article link must start a conversation – quickly or it will get demoted. 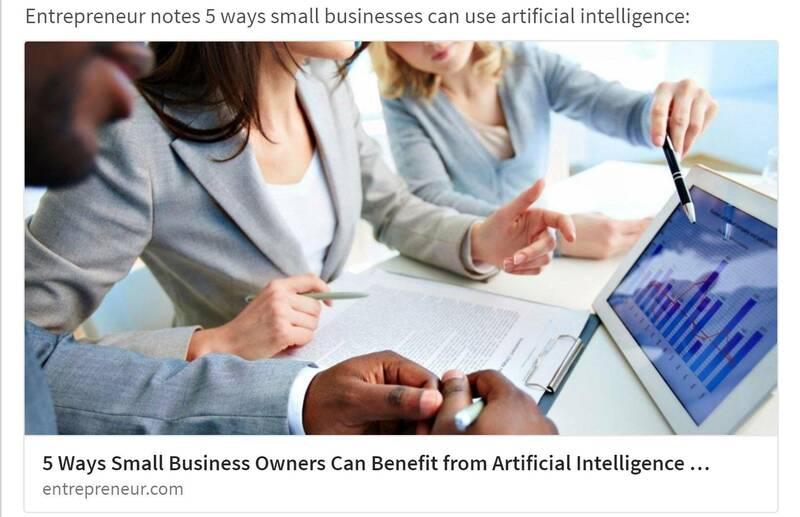 If you’re using an automation service or RSS to auto post curated articles (like Buffer or FMG Suite for financial advisors) that automatically sends a pre-crafted update or that you just pop into a queue and don’t craft a custom update, you’re in trouble – and this goes for plugins that auto post your blog articles. 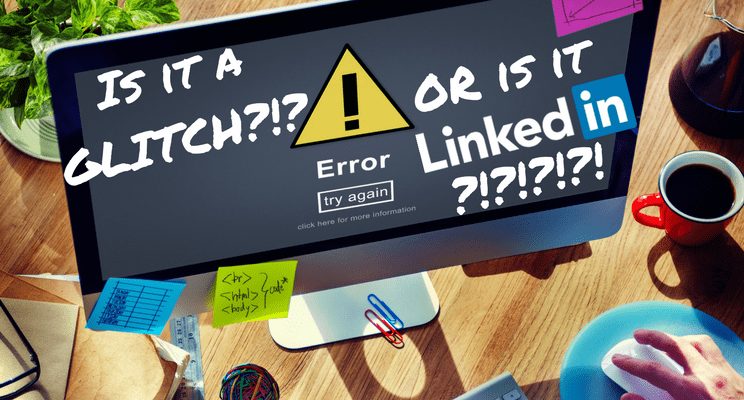 If you consistently post your content via the API and it’s nothing but the link, then LinkedIn will tag your ENTIRE account as “low quality” and it will take multiple high engagement posts to remove it. I know because it happened to me. It is possible to post a status update that is just an update – link not required. Believe it or not, but a LinkedIn Post allows up to 1300 characters. It allows for paragraphs, blank lines, and even emojis. You can essentially write a mini article directly in the update. This change signals a major paradigm shift. Before this change, LinkedIn’s stated goal was to be the place that people came to find and read news and professional content. That’s the entire reason why they created the Article Publishing and Influencer platform (previously known as Pulse). What they got was a link pushing fest that became extremely noisy and made it difficult to find high quality content that led to actual engagement (keeping people on LinkedIn longer). Further, when people followed the links, they didn’t always come back. What they thought would keep people on LinkedIn longer, didn’t actually happen. Now LinkedIn wants the news feed to be a place of discussion. Since they’ve essentially killed Groups with the changes over the last couple of years, there aren’t as many good conversations happening on LinkedIn. By encouraging conversations in the news feed, they’re essentially creating a public square as opposed to members only club houses. Instead of demonstrating your expertise by writing an article (whether on LinkedIn or your own website) and pushing it into your news feed, LinkedIn wants you to demonstrate your expertise through discussion. This means that your entire LinkedIn content marketing needs to change. The advice that I’ve given in the past is to post something every day. Find a relevant article from the news if you don’t have anything original and share it to stay visible to your network and remind them what to do. If you continue to do this, you will be put into low-quality jail. Practically no one will see your updates. Even more painful would be if you were paying a company to push this type of content out for you; you’re wasting your money. It is now better to craft one long, high quality discussion post per week and follow through by replying to comments in the discussion to keep it active through the week. This means strategically tagging people whose opinions you’d like to hear and who you know would enjoy participating. But, be careful to not constantly tag the same people as it can get annoying and they may disconnect from you. This strategy is important, but it must be used judiciously. Timing is important. Getting significant engagement in the first 4 hours of the post is what sets it up for possible virality. The running definition of a viral LinkedIn post is when it has more views than you have Connections & Followers. The best time to post is the best time that your target market would be active on LinkedIn. I tend to focus on the 8am and noon ranges of whatever time zone I’m targeting. I know that many people may see this change as a bad thing; I don’t. Yes, it is going to take more time and thought to craft an update to get the amount of visibility you want, BUT the return that you get from those updates will be much higher. Those who are trying to spend as little time, effort and money to get the benefits of LinkedIn without truly using the platform will be out of luck. LinkedIn has made it very hard to “game” the system. If LinkedIn is the platform where your target market is and that will help your business grow, then you will have to bite the bullet and truly invest in it. If you have a well-developed strategy and system, then the time and/or money you invest in LinkedIn will return exponentially. Struggling to put together your own efficient and effective LinkedIn system? The LinkedIn Ninja can help with the LinkedIn Personal Funnel Filling System. With this service, the LinkedIn Ninja personally creates a turnkey system so that you know what to do every day and then trains you to it. I’m dumbfounded. We have no one to blame but ourselves. LinkedIn released new analysis of gender gaps in the workforce including how well men and women use their LinkedIn Profiles to their own benefit. This analysis is based on the past year, and when added to the findings of their 2011-2016 Economic Graph study, it tells us that women definitely have work to do. It is now a fact that your LinkedIn Profile IS your professional, digital representation to the world. When people Google any name, the first results are public LinkedIn Profiles. By default, every LinkedIn Profile is public UNLESS you change the setting to make it private. So, if it’s half complete and you haven’t given it any love, it’s likely visible and that’s the first impression that many people have of you. It’s probably not much of a surprise, but men hype themselves and their accomplishments more than women. In fact, they tend to remove their early positions to emphasize senior positions with greater authority and accomplishment. It’s as if, they jumped right to the top. It’s debatable among LinkedIn experts if this is a good strategy, but it definitely emphasizes the positive. Let’s look at some of the sad findings. In the 2011-2016 Economic Graph project, they analyzed the differences in Profiles between men and women who received MBAs from the top 10 business schools. They found that female graduates, while having comparable numbers of skills and awards listed on their Profile, did not tend to complete the Summary or job descriptions. These sections tell your story! These sections make people notice and remember you. Even the brightest female minds in the business world are not taking the opportunity to shine and share information that could propel their career. The most recent analysis looked at all women in the U.S. They found that women had shorter Profile Summaries and listed 11% fewer skills. As stated earlier, the Summary is what tells your story; it differentiates you from your competition. LinkedIn has also found that Profiles with five or more skills are viewed 17 times more than Profiles with fewer. So, increasing the number of skills listed on your Profile is important. Before you jump in, take a step back to strategize. If you want your LinkedIn Profile to be successful (help you attract that job, new client, or next step up the ladder), you it must speak to your target audience. You should not look at your LinkedIn Profile purely as an historical document. Yes, those you want to pick you care that you have the past credentials, but they also want to know how you can help them now and in the future. In fact, your LinkedIn Profile should be almost as much about them, as it is about you. There are three types of LinkedIn Profiles – Jobseeker, Career Development, and Sales & Business Development. The Jobseeker Profile is an enhancement and extension of your resume. It should be consistent with you resume (differences could raise flags), but should provide greater dimension and highlight special projects, accomplishments, and work samples. In addition to all of the facts and accomplishments related to your career, it should lay the case for why you are the best candidate for the type of job you want now. Your Profile Summary should be more like a Cover Letter. The Career Development Profile is similar to the Jobseeker, but the Summary should focus on where you see your career going. You’re not looking, but you’re laying the groundwork for the next step up so that opportunities can find you. What do you want to do in the future? What are you learning now or skills you’re improving that will help you take that next step? Many recruiters are looking for employed people to fill their positions. If you’re ready to move up, make it easier for them to identify you. The Sales & Business Development Profile is very different from the other two. Potential clients don’t care about your employee skills, they care about themselves – and explicit details about your sales skills, could even make them feel like prey. Your Summary should be more akin to an Elevator Pitch. It should tell people what products/services you provide, who you provide them for, and what makes you better and different than others offering the same. It should be very clear that if you offer what they need, that you’re the solution for which them. We have to reverse this trend. Your LinkedIn Profile is not the place to be humble. If you’re uncomfortable strutting your stuff, then your LinkedIn Profile is the best place to get comfortable – you’re not looking people in the eyes when they read it. It can also serve as a regular reminder of just how great you are when you need a boost of confidence. Pull out all of that things you’ve done that you didn’t think were a big deal and when you put them all together on your LinkedIn Profile, you’ll see it’s a pretty big deal. LinkedIn networking philosophy is a highly debated topic. In my opinion, there truly is no hard line right and wrong. It really depends on your purpose and goals for using LinkedIn. I just want people to really think it through and make the decision that’s best for them and their business or career goals. Personally, when Lewis Howes first said “Connect to the World on LinkedIn!” back in 2010, my response was, “Uh, …no.” I’m a huge believer of referral/relationship/introduction marketing. My background is financial services and fundraising – two sales methods where the relationships and the introductions matter to the success of the sale. So, having a ton of threadlike connections who don’t know me, would not be of help at all because they could never give me a solid enough introduction that success would be probable. I need to be able to see where the strong relationships are in order to be successfully introduced. So, of course I’m not a fan of blindly accepting invitations to connect from people I don’t know and who have sent only the default invite. That doesn’t mean I’m not going to connect with someone just because I haven’t met them yet either. But, even if you’re a LION and the quantity connection strategy works for your purposes and goals, you shouldn’t blindly accept those default invites either. Why not? Because you don’t know the person’s reason or interest in connecting and you are throwing away the momentum of their invitation to connect and your ability to take control of the situation. If you’re using LinkedIn for sales and business development, people will invite you to connect because they are interested in your products or services. If you simply accept, then you may never know. You’re leaving the power of the sales opportunity in the hands of the prospect. They may not be ready to take action and are connecting for “some time down the line.” But when that time comes, someone else may be more front of mind. You’ve lost a sale and you didn’t even know it. You need to know why people are wanting to connect with you in order to capitalize on the sales opportunities. I take two approaches to the default invite. First, if the person is not a direct fit for my target market and it is not evident why they want to connect, then I simply send a message before accepting to find out more. If they are interested in your services, they’ll tell you. If they want to connect for another reason, you’ll start a conversation. If they never respond, then you can decide if it’s someone you want to connect with or not – it’s your call. Recently, simply by asking a person why they wanted to connect, I landed a $50k deal . Maybe it would have still come to pass if I hadn’t asked, but maybe it wouldn’t have. By opening a dialogue, I was able to take control of the situation. Second, if the person is a direct fit for my target market, then I’m not letting that person get away. I do accept that invitation, but then send a follow up message. The follow up message should try to elicit information about their intention and offer them additional information that will require a sign up to your list. If the person is interested in what you have to offer, they will reply back and let you know or sign up for your other information. You now have control of a lead that has demonstrated interest – how good of a sales person you are will determine the outcome at this point! The bottom line is, that if you’re blindly accepting invitations to connect, you’re missing out on opportunities – sales opportunities and relationship building opportunities. You should look at your LinkedIn Network as a collection of relationships and not just Rolodex of people. The “follow” feature is one of the hardest to understand and one that most people may not recognize until too late. I was just helping someone who thought they had their activity feed turned off and their boss saw one of the activity updates. I don’t know what it was, but I’m guessing it wasn’t something that they wanted them to see. Essentially, with the wrong setting, anyone can now follow you and possibly without you knowing. This could be competitors, your boss, HR directors, colleagues that don’t like you, etc. However, you can somewhat control if they can see anything. There are 2 privacy settings that have to be tweaked to prevent this. The first is “activity broadcasts” which are updates to your profile, recommendations that you give, and companies you follow. This is either on or off. If you turn it off, that means that your Connections don’t get to see it either. The second is “activity feed.” This can be set to your connections and everyone. There used to be an option for “only you” which allowed you to put your feed in lock down, but that option is now gone. Therefore, if it is set to your everyone, then anyone who follows you will pull your activity feed into their news feed. AND you cannot prevent anyone you’re connect to from seeing your network – which could be colleagues and supervisors – so be careful who you connect with if that’s a concern for you. Therefore, if you are being open, you have to be certain that what you are doing on LinkedIn is something you don’t mind everyone knowing – especially competitors, employers and potential employers. For those of you that are in a supervisory position, this can also be an interesting way to keep tabs on your employees and you may be able to figure out if there is a problem or someone is ready to fly the coup before it happens and possibly prevent it – if you want to. I definitely follow and keep track of competitors and prospects that I’m not connected to. The competitors, in order to know what they’re doing so I can more effectively strategize for my business. For prospects, to find an opportunity where it would make sense for me to connect or get referred in. I don’t have any employees, but if I did and they didn’t want to connect to me, then I would definitely want to follow them if possible. Your connections automatically follow you. There’s nothing you can do about that. People who aren’t connecting to you can follow you in two different ways. First, directly from your profile, they will find a drop down that gives them the option to follow it if you HAVEN’T changed it in your Privacy Settings. By default, anyone can follow you. The second place that people can follow you is if you’re writing the long form, Publisher Posts. There is a follow button on every article so that people can continue to get your new articles – of course, they get everything else, too. How can you tell who is following you? LinkedIn has recently made a change to the follower function after putting it on hiatus for a while. With the creation of Pulse and allowing anyone to use the long form Publisher, LinkedIn is now encouraging the following of people who are publishing. As a result, if you are using that feature you get analytics about the performance in addition to accessing the full list of everyone following you. I have not found a way yet to review followers if you are not using this feature. Can you make someone stop following you? Yes, if you fully block them from any access to your profile, so if they are a connection, this action will disconnect them from you. This is a nuclear option that forbids them from viewing your profile and communicating with you in anyway, so you do want to use it judiciously. You find the Block or Report feature in the same drop down menu as the Follow. You can Unblock someone in the Privacy Settings, if you should change your mind. If they were a connection, you will need to re-invite them to connect. 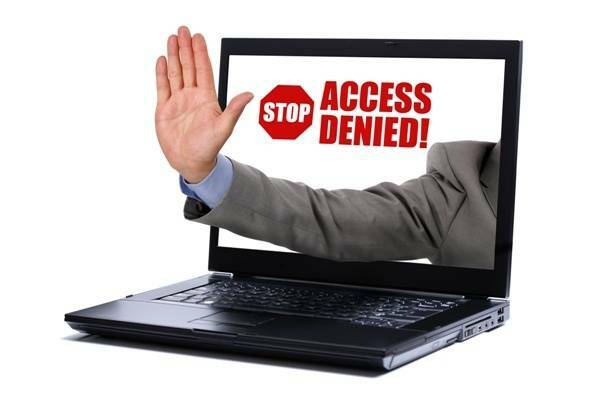 There is one other limitation in the Privacy Settings and that is to only allow connections to follow you. You have only two options – Connection or Everyone (except people you block). If you’re using Publisher, see who is following you. If appropriate, consider inviting them to connect. Chances are, if it’s not a competitor or employer then it is someone who is interested in what you have to say or the products/services you offer, or possibly hiring you. Just be certain you personalize that invitation to connect to let them know that since they are following you, you would be open to connecting with them. Who knows, you just may find your next client this way! These settings can be tricky and can have some serious repercussions so give serious thought as to how you want to use them. Need some more LinkedIn help? Several times per month we offer a FREE webinar called the Seven LinkedIn Mistakes that Kill Sales and What to Do Instead. Click Here to check out and register for the next sessions. If they don’t fit with your schedule, register any way and we’ll send you the replay! For about the past two months, those LinkedIn members who are very active with their groups and in sending group member to group member messages have found that they suddenly were unable to send such messages. The ability to send group members you are not connected to a message has been one of the most powerful features for free and premium members alike since the inception of LinkedIn groups. Today, one of the participants received a definitive answer. LinkedIn is limiting the number of group member to group member messages that anyone can send to 15 per month. On the first day of the new month, your allotment will renew. This limit EVEN AFFECTS group owners and managers who need to be able to communicate directly with their group members if they are posting inappropriate content or breaking the rules. Why is LinkedIn Doing This? Two reasons…First, people have abused it and LinkedIn has mentioned that as a primary motivation. The second (in my opinion), is to get more people to upgrade to premium and companies to use sponsored InMail messages to have LinkedIn deliver this promotional information. Using the group member messaging option has been a very powerful tool for me and my clients (it even helped me land my book deal). Using these messages for sales or promotional messages has been controversial and many people are against it. That’s because most people have done it wrong. Each of these messages takes several steps to launch and must be done individually; it’s time consuming. People have hired low cost labor to just go into a group focused on the target market and just go down the member list indiscriminately sending the message to as many group members as possible. The problem is that it is unlikely that EVERY person in the group is a fit for your offer. I’ve even received messages from people telling me that they looked at my profile and thought I was a good candidate for a free webinar to teach me how to be more successful with LinkedIn. They obviously didn’t look at my profile and I wasn’t a good fit. The second method is with the use of third party software that uses bots to launch hundreds of these messages against LinkedIn’s terms of service (like Mojo Global). The software automatically launches these messages without you reviewing or selecting appropriate recipients.That means there is a high probability that the messages are going to inappropriate people. Those two methods are what drive people crazy because the messages are not only not wanted, they are irrelevant. There are always going to be people who hate any kind of advertising and promotion, but the vast majority don’t mind a custom-tailored, well-targeted marketing or sales message being sent to them. Less than a third said they were bothered by unsolicited messages. The primary qualifier was whether the products or services offered were relevant. Those of us who have used this strategy selectively and with relevance and authenticity and gotten positive responses from the recipients, have lost a great tool. When used responsibly, it is not seen as spam by recipients. I have turned down clients wanting guidance on using this strategy inappropriately for mass promotion without interest in relationship development. We now have only 15 of such messages to utilize each month, which means we will need to be even more selective in their use. You will need to focus such communications on quality business potential and not quantity. For those who want quantity promotion to prospects, you’re going to have to pay the piper…LinkedIn. One potentially bad, big picture consequence to this change, is that it’s going to push more people to open network and connect more indiscriminately. 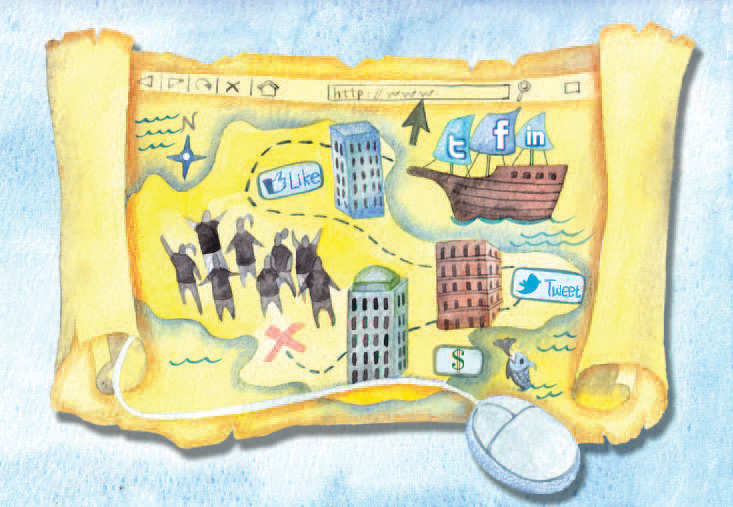 Just when the tide was changing against open networking, we may see a shift back. I believe in building a network with purpose and not just with numbers. But if you can only message people you’re connected to and you want to message a lot of people, then you’ll need to connect to lots of people. LinkedIn is pushing people to act contrary to their own philosophy of connecting to only people with whom you have a relationship. Did you use this feature? Will the loss of it affect your continued use LinkedIn in any way? To See the Schedule and Register! After you’ve finished building out your LinkedIn profile, then next step is to grow your 1st degree Connections. Ideally, you do not want to build your network until you’ve fully built out your profile. Inviting someone to connect is the one time that you can almost guarantee they will read through your entire profile, so you want to have everything in place so you don’t lose that messaging opportunity. LinkedIn just announced that we are nearing 1 billion endorsements given. While this new feature has launched much debate over it’s usefulness, U.S. financial and investment advisors have been dealing with the legal problems it has caused as a result of federal regulations forbidding the use of advertising with client testimonials. This video will talk about the special settings that allow any LinkedIn user to control what appears on their profile in regards to endorsements that they have received for their Skills & Expertise. You can turn the visibility completely off. You can hide endorsements from specific people or hide endorsements for specific skills. You have much more control over this section than you may realize. It is old news that the financial services industry is extremely behind the curve when it comes to the adoption of social media as a branding, marketing, and sales tool – particularly those involved in sales of securities and financial advisory services. However, a wide disparity of social media use exists between independent financial advisors and those at the largest financial companies with independent advisors being active for quite some time. While a level of caution and care is expected of the industry managing and guarding our wealth, if the biggest names in financial services do not take action soon, it may be too late. 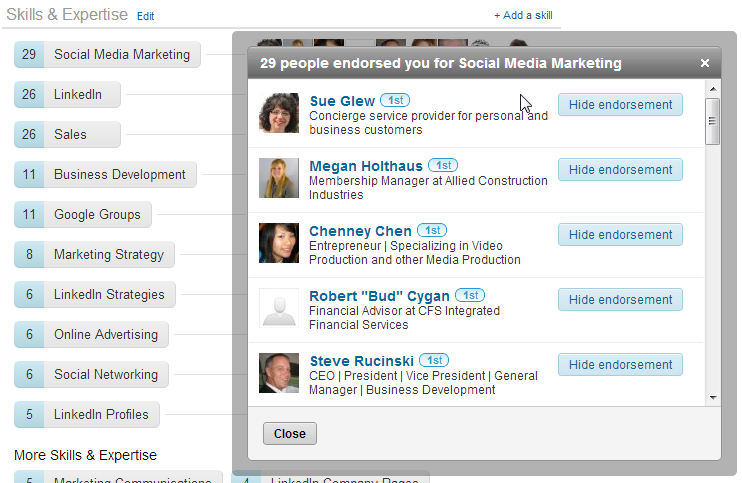 It’s been a month since LinkedIn launched the new Endorsements feature. There has been active discussion as to the value and usefulness of the new feature and many people have been trying to figure out LinkedIn’s motivation and big picture goal with introducing this easy, interactive feature. I’ve gotten several requests for my thoughts and interpretation, so now that some time has passed, I thought I’d share. First, participating (if you’re not a professional with a regulatory body that monitors or forbids testimonials) can’t hurt. I agree with most that the endorsements section taken alone doesn’t mean much because it’s too easy to endorse calling into question the intentions and credibility of the people making the endorsements. There are people doing it specifically for quid pro quo and those who get endorsed are feeling compelled to reply in kind. It can become a numbers and popularity game. The person has many recommendations AND endorsements about the topics they profess to be expert in. The person has some endorsements but no recommendations about the topics the profess to be expert in. I don’t know about you, but I assume that the person in the first scenario is an expert, the person in the second is actively developing expertise but not quite there yet, and the third person doesn’t have the expertise they claim they do. Essentially, you’re going to have to decide if you want to participate so think about what the level of participation in this feature could be saying to your target market before making a final decision. One thing to keep in mind is that the words that you enter in the Skills & Expertise section do affect where you show up in search results. So choosing to eliminate this section could have a negative impact on your visibility on LinkedIn if being found is important to you. Also, when people endorse you, the activity goes out into the news feed to your network. This helps keep you front of mind and it can increase your credibility if your network sees that you are regularly being endorsed by people – particularly if the people endorsing you are also in their network. So, How does this fit into LinkedIn’s bigger picture? First, many are claiming that it’s an attempt to “gamify” LinkedIn. I don’t know if I would classify the Endorsements as a “game” but I can say that it is only the second element that allows someone to post something to your profile that sticks and it does encourage activity. For the most part, LinkedIn profiles have been one-sided. Since status updates in the news feed drop off after about 2 weeks (sooner if you are very active), there is no permanence to two-way interaction on your profile (such as the Facebook Timeline) other than the Recommendations. Second, we all know that LinkedIn is a huge database and LinkedIn loves data. If you hover over the skills, you can see that LinkedIn is monitoring the increase and decrease of the usage of the different skills. This will give them powerful knowledge of the changes in trends of skill usage and classification over time. Knowledge that they can sell to the ever thirsty staffing and recruiting industry. Third, I’m hypothesizing that we could see the development of the Endorsements as a search filter for the recruiter premium packages. Since activity around the giving and receiving of recommendations is not very high and most enterprise corporations have policies against giving recommendations of employees for liability reasons, I can see the Endorsements feature lending some level of additional credibility in search results because at least there are some people willing to publicly vouch for you. I have no idea if this will come to be, but if I were LinkedIn, I’d use it that way. It’s only been a month and with the rollout of the new LinkedIn profiles on the horizon, we will have to watch and see how it develops. One of LinkedIn’s most valued industry verticals is financial services. It’s evident how important the vertical is given the amount of resources they have put into research to lay a foundation to get them more active on LinkedIn. However, I wonder how well they thought through the nightmare that this feature is unleashing on those companies regulated by FINRA and the SEC. The Recommendations section was enough of a minefield, but at least you had to approve the recommendation before it appeared on your profile. With the endorsements, all you have to do is be using the Skills & Experience section and any connection can endorse you and it shows up immediately. The only approval you’re involved in is if someone wants to add a new skill to your list. Since 1940, the federal government has forbidden anyone licensed to give investment advice from publicly advertising client testimonials. That is because it is impossible to duplicate performance from one client to the next due to the ever changing nature of the market and the individual’s own risk tolerances and goals. So the issue with Endorsements lies in having CLIENTS endorse skills that are directly related to your work as a financial advisor. Technically, endorsements from people who aren’t clients for skills that do not pertain directly to your ability to invest shouldn’t be a problem. The problem is that broker-dealers and RIAs are responsible for the oversight and monitoring. Most larger firms flat out prohibit the use of any Recommendations in LinkedIn whether or not it’s from a client or not. That’s because it’s too hard to monitor who is a client and who isn’t. For example, someone may give you a recommendation before they are a client, but what if they become a client? It’s simply too messy and too expensive for the larger firms to monitor. So, since the activity of Endorsements is exponentially greater than that of recommendations, I anticipate the Skills & Expertise section will be made off limits. You have too options. First, delete all of your skills in the Skills & Expertise section and the section won’t show up on your profile. Second, you can keep the Skills & Expertise section and actively monitor and hide Endorsements as soon as the come in. 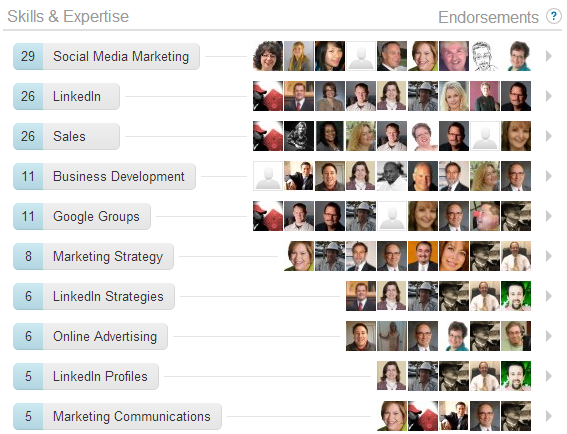 To hide the Endorsements, go into the Edit Profile function and scroll down to the Skills & Endorsements section. You’ll see your endorsers. Click on the arrow at the far right of each skill that is endorsed and it will open up a window with everyone who has endorsed you. Next to their name is a button that says “Hide Endorsement.” Simply click on the button and the Endorsement will disappear. This action CANNOT BE UNDONE, so please be certain you’re ready to take it. Just like any of the LinkedIn tools and features, you will have to decide for yourself what helps you share your brand and accomplish your goals. No one can make that decision for you.